Numerous studies have proven that it’s much more cost-effective to generate revenue by increasing sales to existing customers than it is to cultivate new ones. Research is clearly NOT selling and never should be, but conducting conversational-style in depth customer research using a third/impartial interviewer can contribute volumes to gaining a greater understanding of this crucial audience. The existing customer can give invaluable feedback on their experience and perceptions of the product(s), company and its service/technical support. I think the most significant facet to explore is the buying process: How did they first learn about you? Who was involved? What was the process and why was your company chosen? Other topics that are useful to include in the interviews are: Is the service where it needs to be? Is the company exceeding expectations or just marginally OK? Is the product a good value for the costs? Fact is, done correctly, most customers appreciate the opportunity to share their opinions and value the company taking the time and effort to listen. During the interview, the facilitator can inquire in a non-judgmental, non-pressure manner if the customer would be willing to provide a referral. Companies who incorporate a referral strategy into their marketing initiatives have a greater level of success in gaining referrals. It never hurts to ask and it says that you value their opinion. Gaining insight on your customer profile and their stories is one step in process of defining buyer personas. Not only does customer research help you to gain insight on how your products are used but organic conversations enable you to identify user vernacular for improved messaging. Explore their media and other source preferences for finding out about new product offerings and their participation in social media for work related topics. Customer conversations enable a company to gain knowledge of user needs, potential unmet needs and explore their initial receptivity to expanded or modified product offerings. Engaging the customer at many stages along the product development process can also help increase the likelihood of a successful product. Customer insight on product concepts and prototypes allow you to modify designs as needed based on customer engagement. This type of research can also help isolate a small number of participants who might be willing to test and share results. 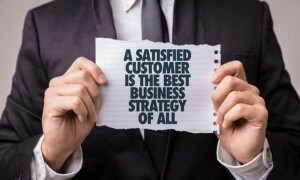 At the core of every successful company is a strong understanding of its customer base. When companies recognize their customers’ wants and needs, they can make sound decisions on product and service offerings, which ultimately drive revenue.